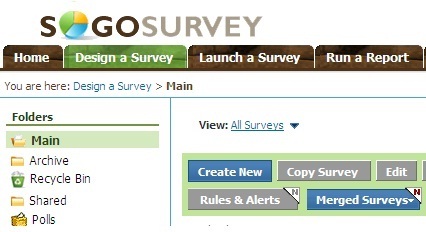 Here at SoGoSurvey, we take pride in our robust, user-friendly platform. And, with our Chain Invites feature, you can help spread the word to friends of your friends. Each person you invite can invite up to 10 other friends. Then those 10 friends can invite 10 more friends . . . and so on and so on. As the name signifies, Chain Invites enables you to invite people to participate in your survey whose email addresses you don’t have. With Chain Invites, each person you invite can invite an additional 10 people. Before you know it, your survey will have gone viral. 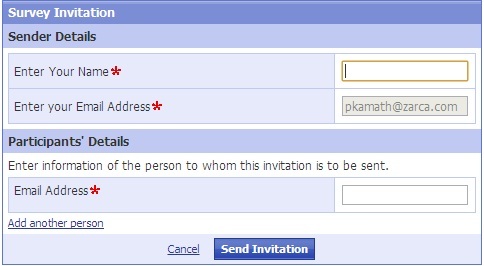 a) Go to ‘Launch a Survey,’ select a survey and click on ‘Customize Invite’ under the ‘Customize Email’ tab. 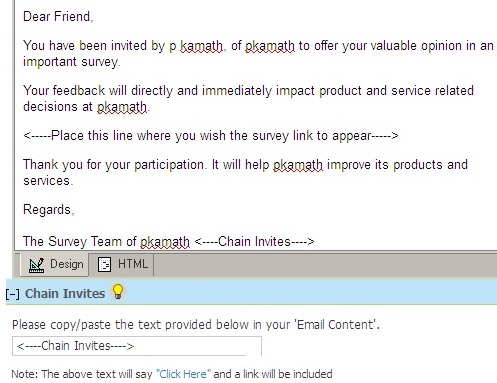 b) Now Customize the Invite as per your needs and then copy/paste the ‘Chain Invite’ text in your ‘Email Content.’ Once you have customized the invite, you can send the survey to your contacts. c) Once your contacts receive the survey invitation, they can then send that same invitation to 10 more people from their contact lists by filling in the required details.